Cologne – Venista Ventures today announces the company incorporation of Codinc, a new subsidiary and incubation result of Venista. The new company will be based in Cologne and will employ the former IT-team of Venista as well as additional IT-specialists from all around the world. Besides providing crucial IT-solutions to Venista’s investment portfolio, Codinc will offer services for external clients in the sphere of the mobile industry. Building unique ad-tech products in order to maximize profits and performances for all mobile players, Codinc will focus on fields such as mobile messaging and primarily mobile marketing, where the team members have gathered in-depth experience over more than a decade. Furthermore, Codinc will still be a driving force in Venista’s own incubation services as it will provide IT consultation and solutions to new startups in the Venista group. In addition to Artur, Alexander Malysh will also serve as a managing director and is the co-founder of Codinc. The former Senior Software Engineer of Venista will oversee all external business of Codinc. 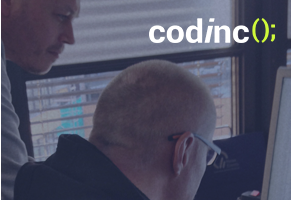 Besides of the Cologne-based team, Codinc has also already established a Ukrainian team in Kiev that provides crucial programming skills and coding. Organizational teams such as human resources, PR and marketing as well as graphics and administration will be provided by the main staff of Venista Ventures.